Citrix have released a new version of VDI-in-a-box 5.1. Summary the new version have all the goodies from XD5.6 Feature Pack 1 and now you can customize names for your machines WUHU for that.. its about time, so a lot of customers are going to be happy about that feature and no more messy names 😉 + more.. Read below about the new features. 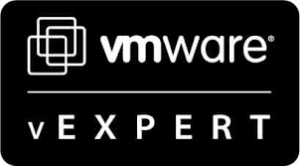 I did a comparison on XenDesktop vs VDI-in-a-box and i will publish the presentation from E2E Vienna May 2012 this week and next i will do an update to the new version of XD&VDI-in-a-box so all data is up-2-date. VDI-in-a-Box is a single virtual appliance that provides all of the functionality needed to create, provision, manage, and load balance virtual desktops. VDI-in-a-Box has a built-in connection broker, load balancer, user manager, and desktop provisioning server. It does not require separate shared storage, high-speed interconnects, or multiple management servers. The appliance runs on commodity servers running a hypervisor such as Citrix XenServer, Microsoft Hyper-V, or VMware ESXi. Citrix Receiver helps provide VDI-in-a-Box desktop users with secure connections to a high-definition user experience. Powered by Citrix HDX technologies, VDI-in-a-Box provides a superior user experience with Flash multimedia and applications, 3D graphics, webcams, audio, and branch office delivery. Although the desktops run on remote servers, the user experience is equivalent to that of a local Windows desktop. From the user’s perspective, logging on to a virtual desktop is the same as logging on to a local desktop. This release includes several new features and enhancements to Citrix VDI-in-a-Box. You can now create personalized desktops from a common published Windows 7 image by checking a box. Users can install applications of their choice, set their profiles, and store user data. Administrators can update, manage, backup, and restore these personalized desktops. When the published image is updated, the base image of all the personal desktops are automatically updated with the administrator’s changes and yet the user installed applications, profiles, and data remain intact. Citrix recommends using a profile management application with the personal desktop feature to backup user profile data. 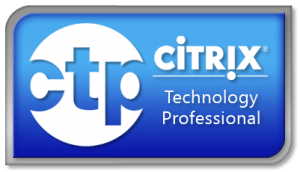 Citrix Profile management is included with VDI-in-a-Box. The VDI-in-a-Box Desktop Agent resides on each desktop created from the published image. vdiManager communicates with the desktop through the agent. The new Desktop Agent process installs the agent on the draft image automatically. The automated installation process is part of the process for creating a first draft image. This release introduces Active Directory failover. VDI-in-a-Box automatically starts to use another Active Directory server if the primary server fails. Administrators can specify two or more Active Directory servers in a prioritized list. VDI-in-a-Box uses the primary Active Directory until it fails and then defaults to the next Active Directory on the list and continues in this fashion. VDI-in-a-Box periodically checks to see if failed Active Directory servers have recovered and automatically reverts back to the highest priority Active Directory server. Note: To ensure uninterrupted desktop provisioning, each Active Directory in the list should contain identical data and be synchronized. VDI-in-a-Box does not provide a mechanism to ensure synchronized operations among the Active Directory servers. This release allows administrators to specify the complete name of their virtual machines and computers. 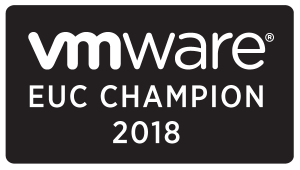 This allows administrators to track your virtual machines on your hypervisors and the associated computers on the Active Directory server. The prefix accepts letters, numbers, and hyphens (-). The suffix only accepts numbers. One digit is required and up to four can be used. Use of leading zeroes is recommended. This feature allows user devices to access the grid through a single virtual IP address hosted by one of the servers in the grid. All user connection requests are sent to this host server. If the host server fails, another server in the grid becomes the host and fields the connection requests. The grid-wide virtual IP address feature provides end-to-end high availability without requiring a load balancer between the user and the grid of servers. This feature works with any user device. This release includes Citrix HDX 5.6 Feature Pack 1. When assigning users or groups to virtual desktops, you can search for a user or a group and select from a list of matching names. Some applications either require or perform much better with multiple CPUs. This release allows a virtual desktop to be specified to run on multiple virtual CPUs. Use this option with care as it does require more physical CPU resources and can impact the number of desktops that can run on a server. VDI-in-a-Box enables the flexibility to place users and desktops in different Windows domains. This is useful when security regulations require a more stringent relationship between users and their desktops. The dual data stores feature allows you to store images and personal desktops on a data store separate from that used by pooled desktops. This flexibility can be used in many ways, for example, storing the pooled desktops in a solid-state drive datastore for faster performance. Since pooled desktops require less space, better performance can be achieved by adding only small amounts of solid-state drives to a server. Remote access to VDI-in-a-Box desktops is available through the Remote Desktop Gateway. The Remote Desktop Gateway must be set up in the demilitarized zone. It should be in the same domain as the virtual desktops to which it provides remote access. The vdiManager must be configured with the Remote Desktop Gateway’s IP address. VDI-in-a-Box allows the use of a Network Time Protocol server as the master clock with which all the vdiManagers in the grid synchronize. This ensures that cross-server logs are consistent with respect to time. Desktops provisioned from VDI-in-a-Box are now able to provide sharper image quality for Google Earth when the Google Earth Optimization Pack is installed. To install the Google Earth Optimization Pack, download the optimization pack from https://www.citrix.com/English/ss/downloads/results.asp?productID=2316437 to the draft image, then copy D3d9.dll to the folder containing Googleear.exe. Note: Images running the optimization pack require at least two virtual CPUs.